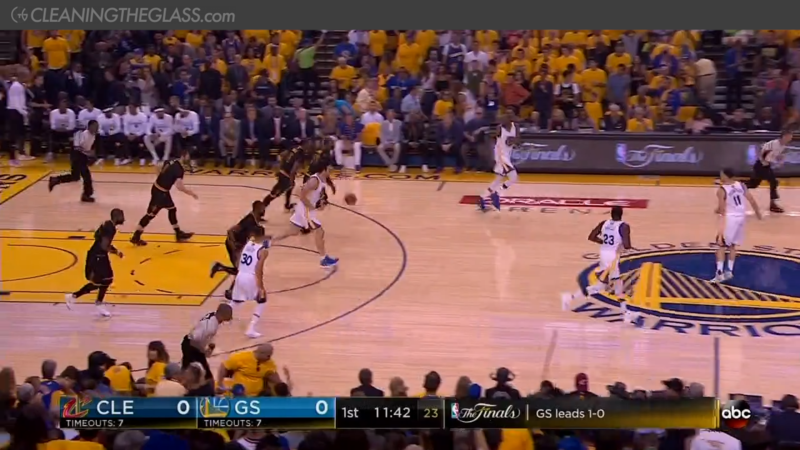 Three keys for Game 3, plus some subtle things you may have missed. By the late stages of the fourth quarter, Games 1 and 2 weren’t in doubt. 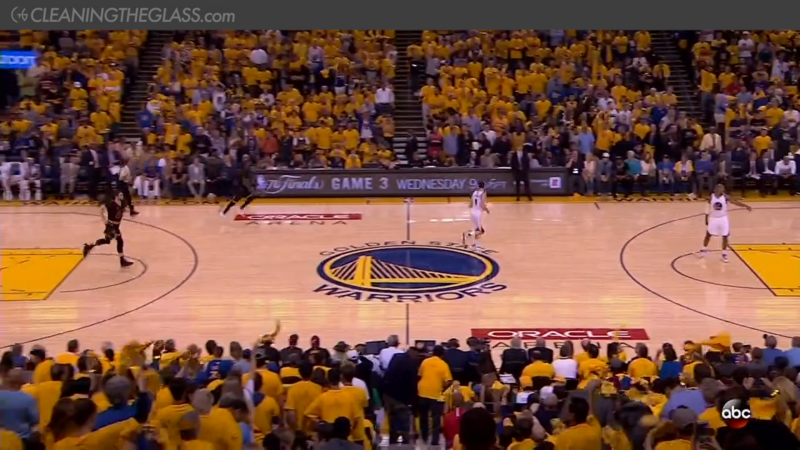 The Warriors ran and passed and shot their way to a 2-0 series lead in front of a raucous Oracle Arena crowd. The Cavs didn’t look like they could compete with a team many had declared the best team ever. Though the description fits, I’m not talking about this year’s Finals. 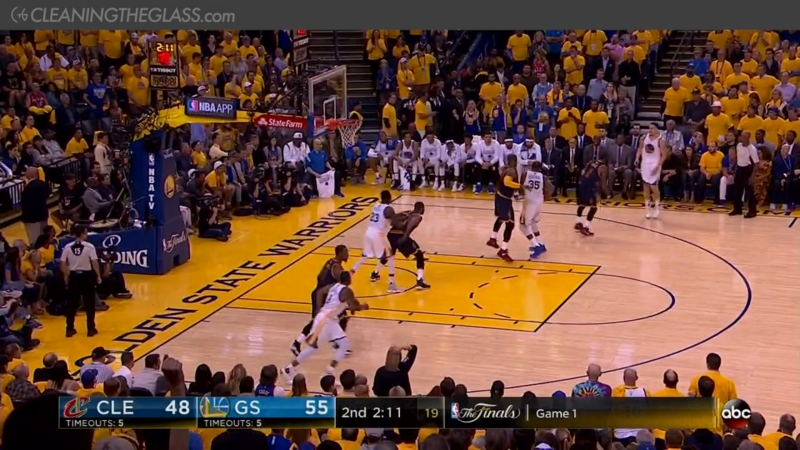 The 2016 Finals started almost exactly the same way — and we all know how they finished. These are different Warriors and Cavs teams, and it took a historic comeback to overcome the hole the Cavs dug for themselves last year. But if nothing else, 2016 should teach us not to write off LeBron James’ team after two games. Even two that played out the way Games 1 and 2 did. 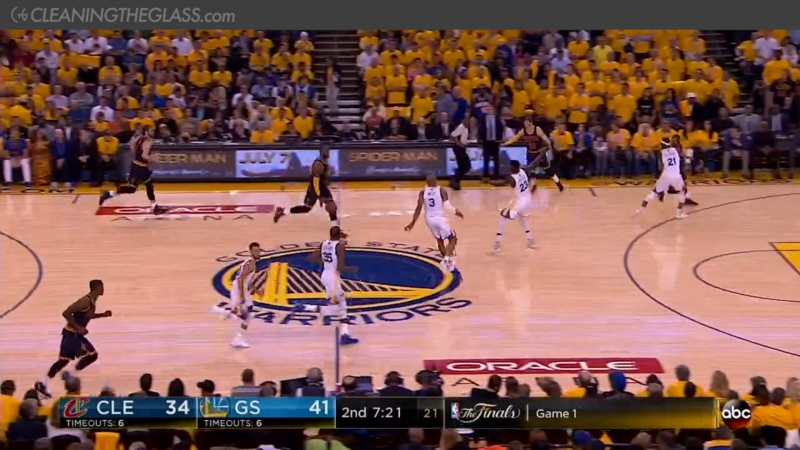 What are the keys to watch as the series moves to Cleveland for Game 3? Here are three important takeaways from the first two games — plus a bonus section to highlight a few subtle plays you may have missed. The transition battle has played out as expected. Golden State had the best estimated transition offense in the league this year1, while Cleveland’s transition defense ranked 28th. There’s no greater disparity in any major stat category between these two teams. A lot of the transition play from the first two games is of this same variety: it’s not that the Cavs aren’t getting back adequately — it’s that they’re not getting back completely. 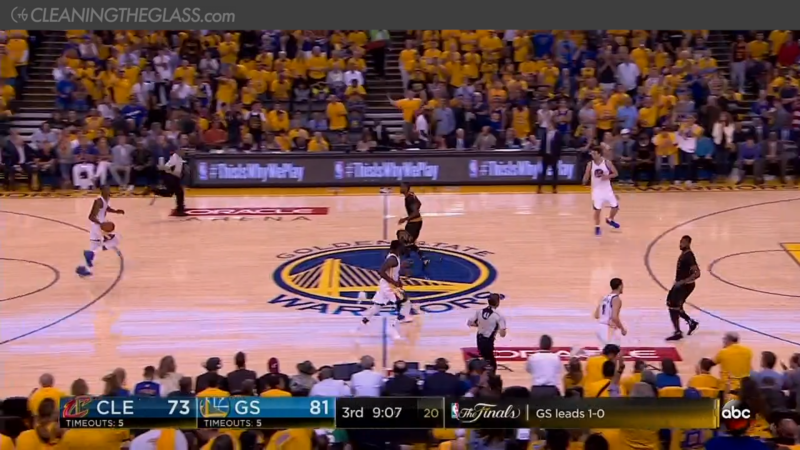 And against the Warriors, that incompleteness can often mean failure. 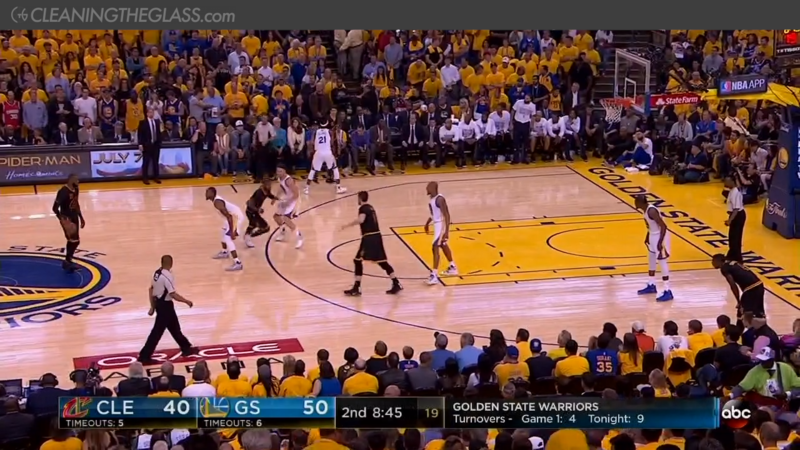 Standard transition defense principles dictate that the priorities are: (1) protect the paint, don’t let anybody get behind you (2) stop the ball (3) find a man (4) match up properly. 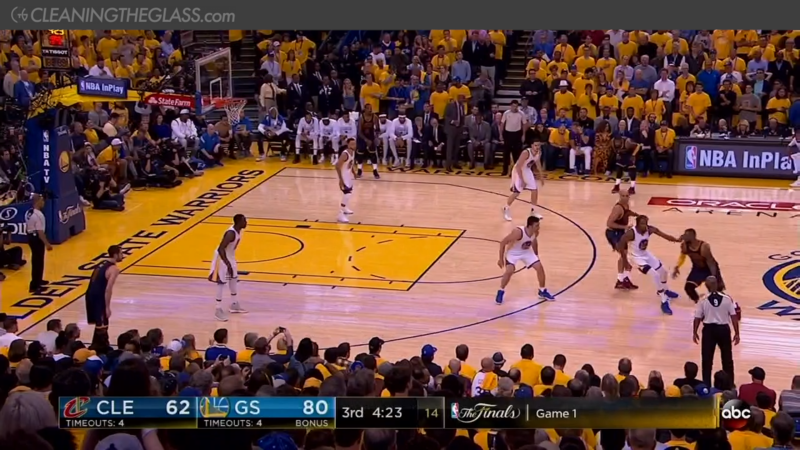 The Cavs have been so concerned about the Warriors’ shooting that they have sometimes skipped to the third step, rushing past the first two in an effort to take away Golden State’s transition threes. Cleveland really struggled to finish at the rim in Game 1, making just 45% of their attempts (compared to their season-long rate of 65%). It would be easy, then, to overlook the fact that they got to the rim at a very high rate: 43% of their shot attempts came around the basket, much higher than their regular season rate of 34%. If Cleveland had gotten to the rim at that rate for the full season they would have led the league. This is one of the few places Cleveland has an advantage. Golden State doesn’t have high level rim protection outside of Draymond Green, and ranked 20th in the league in preventing opponent shots at the rim during the regular season. Cleveland, meanwhile, ranked 2nd in FG% at the rim and has a historically great rim-attacker in LeBron James. 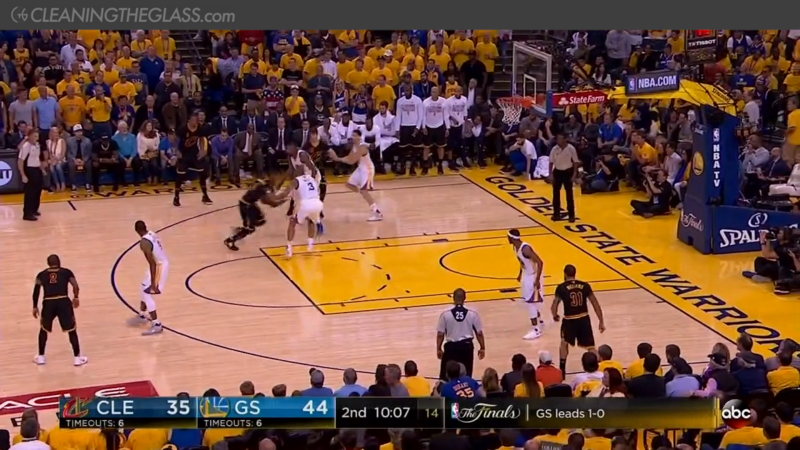 Cleveland finished the game having attempted 42% of their shots at the basket, another very high rate, and this time converted a solid 61% of those attempts. 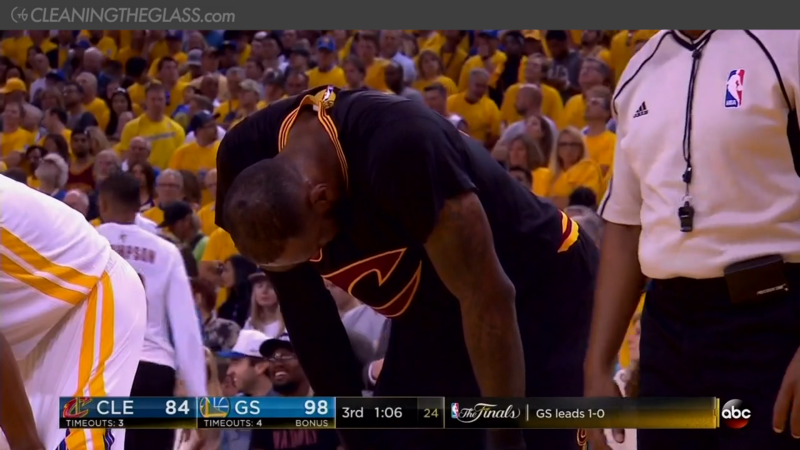 Perhaps there is some reason that hasn’t come out as to why LeBron wasn’t operating at the superhuman level we’re used to. 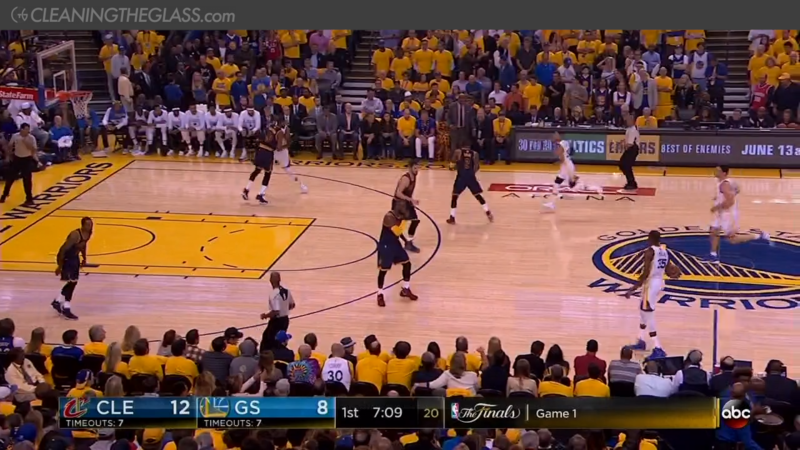 But it’s also possible that there is a notable energy gap in these two teams: Golden State can play even with Cleveland without going full throttle, while the Cavs have to put everything they have into the game to keep it close. And eventually that catches up with them. 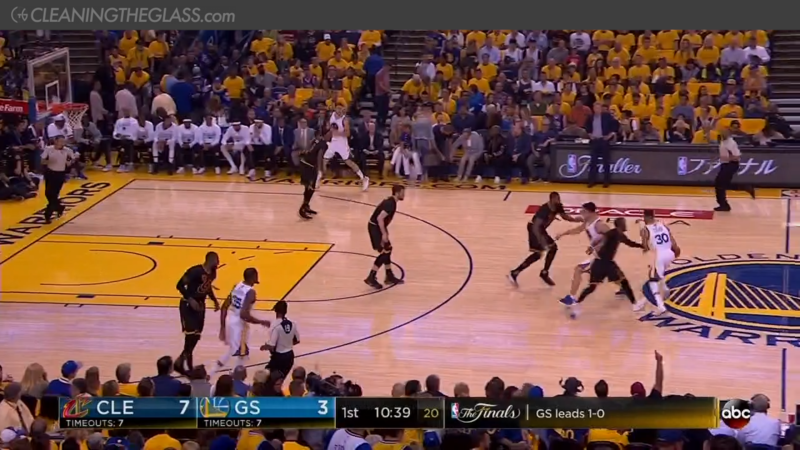 As Van Gundy alluded to, while the Warriors don’t give you many spots to hide, they do have lesser threats on the floor and Cleveland would likely benefit by forcing those players to make plays. This is something San Antonio has always been incredibly good at in the playoffs, and it’s why they played the Warriors so competitively this year before the Kawhi Leonard injury. Plugging those holes will continue to be an emphasis for the Cavs as the series moves back to Cleveland. A few small items to watch for as the series continues. Last year the Cavs lost the first two games by an average of 24 points, and then won Game 3 by 30. Cleveland will need this same kind of cleverness — and a whole lot more — if they’re going to repeat that performance in 2017.